Big huge perennial Lobelia from Chile that is one of the most exotic perennials that we can grow. 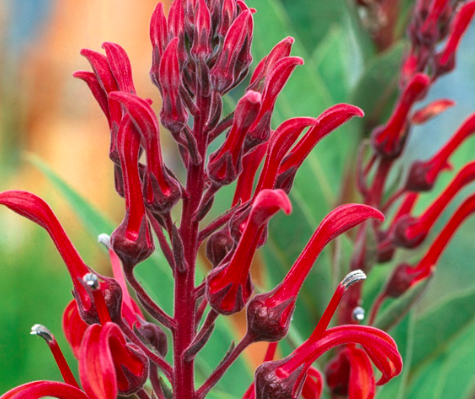 Spires of 5′ blood red flowers appear for weeks in the middle of summer. Hummingbirds delight. Large pale green leaves provide added contrast. Spreads to form large colonies (does not run). Full sun and rich, well drained soil. Great on hillsides. Light summer water. Completely deciduous in winter. Returns from the base in mid-spring. Give it room to stretch out- new plants are deceptively small. Water regularly for the first summer to establish. Spectacular perennial.